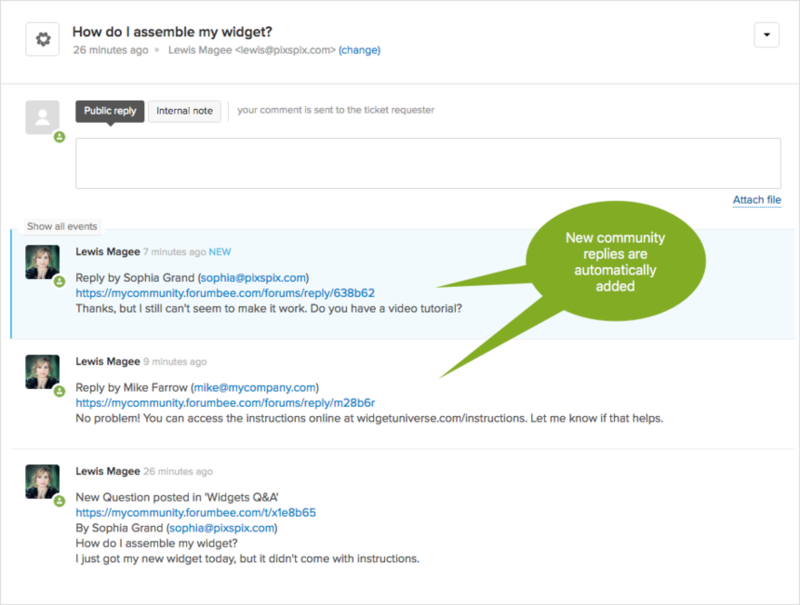 With Zendesk integration, you can add your Forumbee community as a channel in Zendesk. 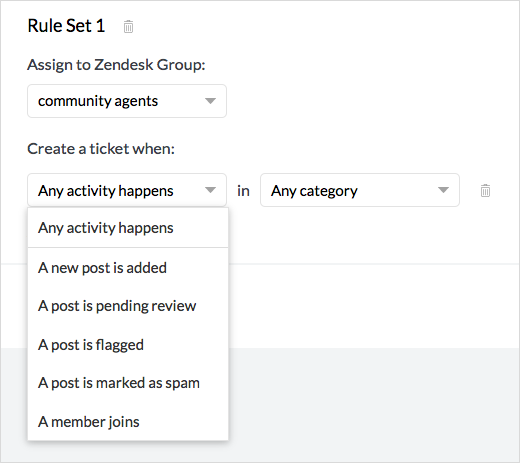 Tickets are automatically created in Zendesk from community activity based on rules you define. In your Zendesk account, go to Admin > Channels > API. Select the "OAuth Clients" tab. Secret: Select and copy the value in this field. In your Forumbee account, go to Admin > Integrations and select Zendesk. Secret: Paste the secret you copied from Zendesk. Zendesk will prompt you to log in if you are not already logged in. Next you will authorize the Forumbee connection. Under "Allow Forumbee to access your Zendesk account" Click "Allow". Your connection is now completed. 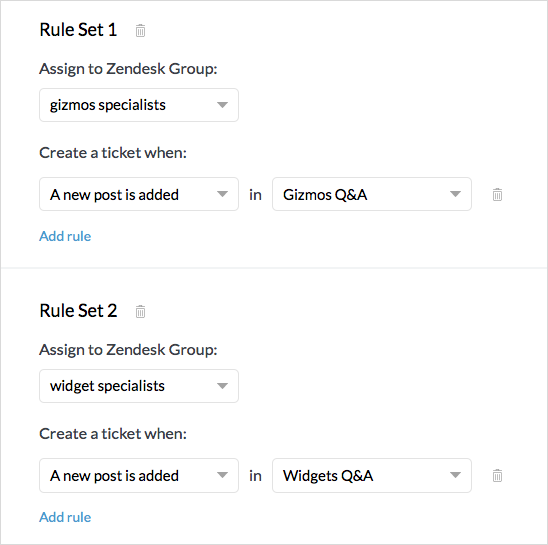 Click "Add Rule Set" to configure rules for sending activity to Zendesk. Note: The Zendesk agent that established the connection will be the requester for the tickets created. We recommend using an agent with restricted access. 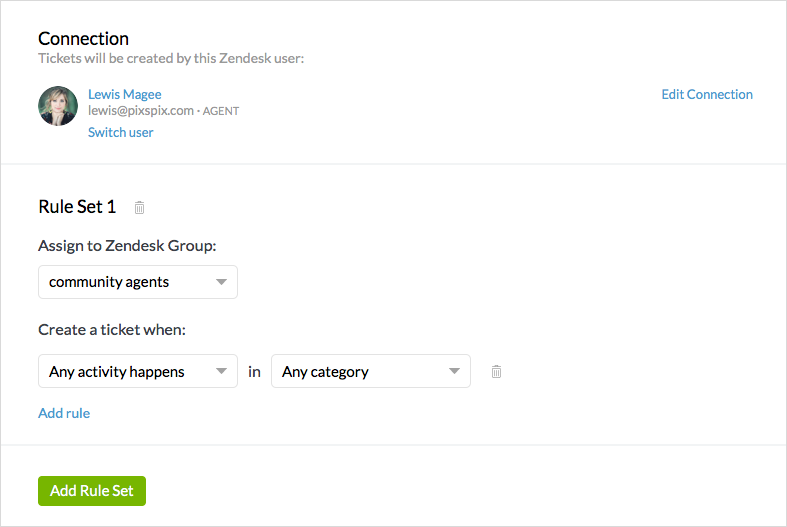 Use rules to configure how tickets are created in Zendesk. Select the Zendesk Group to assign the tickets. Configure the rule(s) for automatically creating tickets. You can add multiple rules within a Rule Set. The ticket requester is the Zendesk agent used in the Forumbee Zendesk connection. Zendesk notification emails are not sent to the customer who posted in the community. The customer will continue to receive email notifications from the community for topics they posted or are following, according to their notification preferences.. When new replies are posted to the question in the community, the replies are added to the ticket, and it is reopened if it was previously closed.